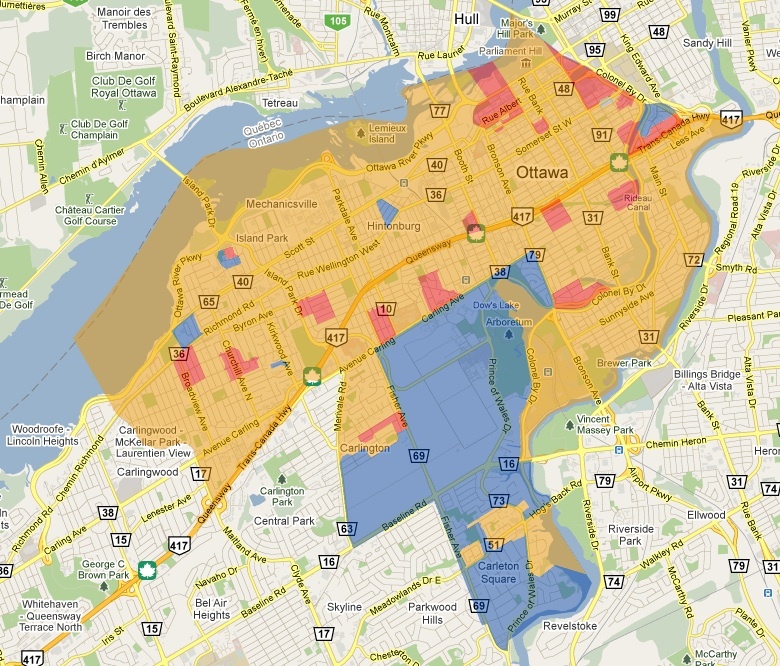 To support the riding profiles we’ll be doing in the Ottawa Citizen, I created a set of Google Maps based on the 2008 poll-by-poll results. Some ridings are mostly blue, but others show more diversity. The poll maps let you see how people who live near you voted in aggregate.